The Toronto Raptors take on the Los Angeles Clippers in a inter-conference battle. Jonas Valanciunas had a monster 1st quarter, racking up 12 points and 5 rebounds. Toronto got the early lead thanks to their excellent ball movement, recording 7 assists. The Clippers were able to keep the game close because of Sam Dekker and former Raptor, Lou Williams, each scoring 5 points. The Raptors ended the 1st quarter leading 30-19 over Los Angeles. Toronto had an awful three-point shooting performance, missing 9 three pointers in the 2nd quarter. Los Angeles dominated the boards, out-rebounding the Raptors 15 to 7. The Clippers gained momentum after an alley-oop from Lou Williams was flushed home by DeAndre Jordan around the five minute mark. One of the rarest plays in the Raptors playbook happened towards the end of the 2nd quarter as Jonas Valanciuncas hit a three pointer in front of the arc. Toronto was able to maintain the lead going into halftime, with the score being 53-51. Serge Ibaka kept the Raptors from losing the lead as he put up 9 points in the quarter. Without JV to match up with DeAndre Jordan, Los Angeles had a huge advantage for rebounding. After Valanciuncas was subbed out in the 3rd quarter, the Clippers out-rebounded the Raptors 8 to 3. Toronto also had difficulty defending Lou Williams, allowing him to score 7 points. The Raptors led the Clippers 74-70 heading into the 4th. 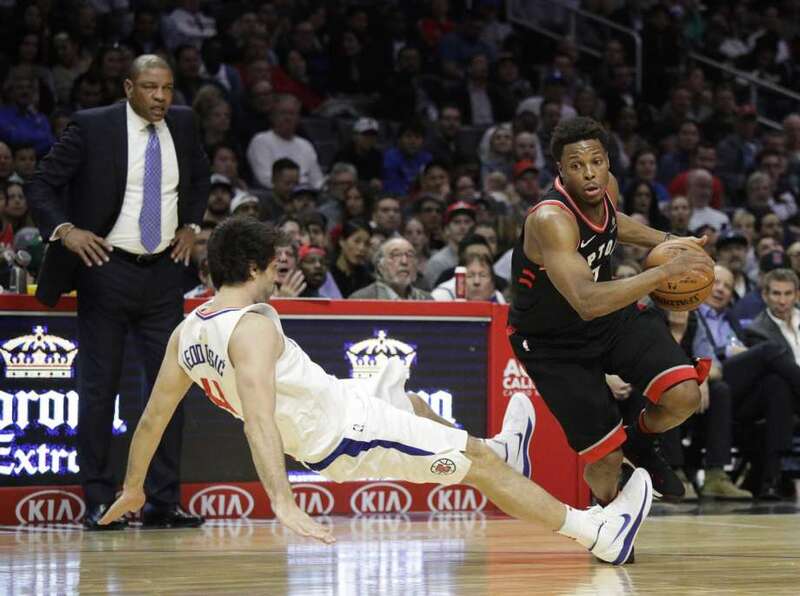 The Clippers were able to capitalize off of Toronto's 6 turnovers in the 4th quarter, which brought the game closer than anyone wanted it to be. Clippers' Milos Teodosic nailed a clutch three pointer with 40 seconds left to give Los Angeles a 91-87 lead. Kyle Lowry then proceeded to make one free throw, while Lou Williams made two, making the score 88-93 in favor of Los Angeles. With 9 seconds left, DeMar DeRozan found an open C.J. Miles and he knocked down a three, making the score 91-93. Toronto then fouled Sam Dekker who went on to shoot free throws. After making the first free throw, Dekker missed the second one, but DeAndre Jordan was able to hit the ball to Lou Williams to gain possession back. Williams then made two free throws that ended the game. The Raptors lost to the Clippers 91-96. I am very dissatisfied with the rebounding by the Raptors. The Clippers had 57 rebounds, 15 more than the Raptors had. I am also disappointed with Kyle Lowry's shooting, going 0/8 from three. Toronto had the game in their hands, but they let it slip away. The Raptors needed those last second rebounds so they had a chance to the the game, but they allowed DeAndre Jordan to get the offensive rebound. Toronto can't let that happen if they want to continue to play at a high level. The Raptors look to start a new winning streak on December 13th against the Phoenix Suns.